Inspire, connect and celebrate in close to 50,000 square feet of meeting and event space in Rochester, MN. 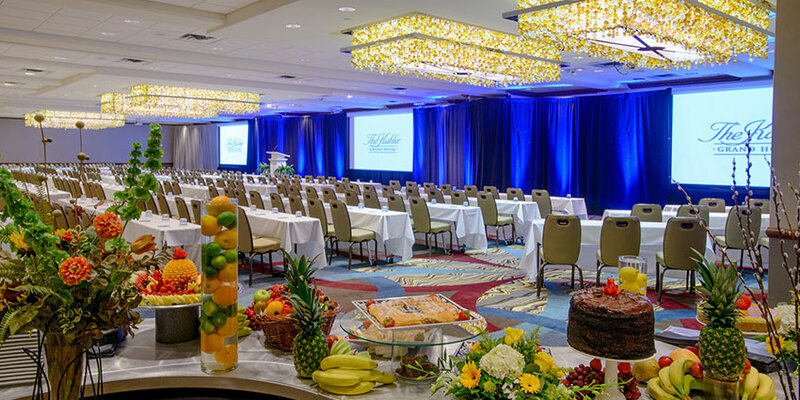 Whether you are planning a large conference for 800 guests, an intimate dinner party, or an elegant reception, Kahler hotels offer flexible venues for business and social events, weddings, and family gatherings. Host an elegant wedding or banquet at The Grand Kahler, featuring over 30,000 sq. ft. of space including the historic Elizabethan Ballroom, which can accommodate up to 150 people. 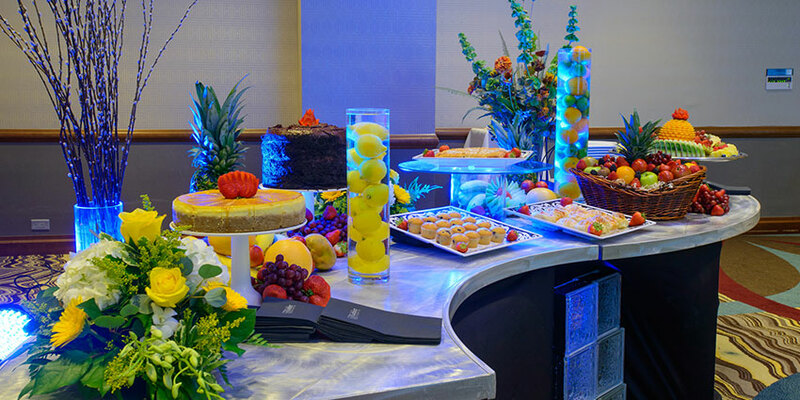 Plan a meeting or reception at the Rochester Marriott Mayo Clinic Area, with 10,000 sq. ft. of event space, which includes the beautiful Marriott Ballroom. Kahler also offers complete on- and off-site catering with a talented culinary team and creative regional cuisine. Let Kahler's experienced associates assist you with every detail, from menu selection to entertainment to audiovisual equipment. 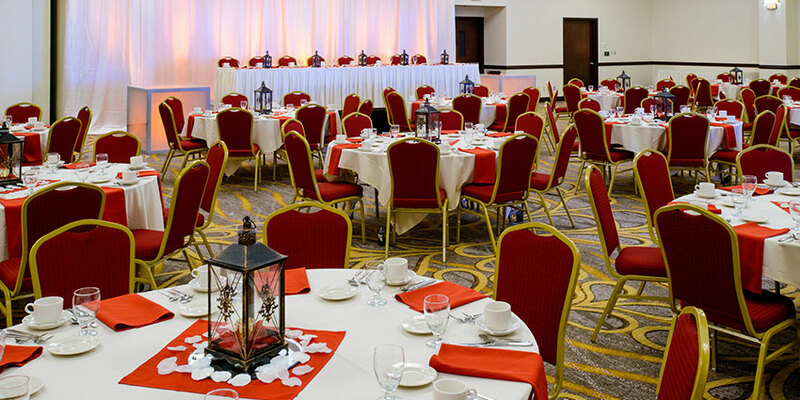 With the premier event and wedding reception venues in Rochester, MN, every occasion is a reason to celebrate. Personal Event Planner to assist in planning the perfect affair! Each of our sophisticated meeting spaces are equipped with high-tech audiovisual capabilities, free Wi-Fi, exceptional catering, and central locations in Downtown Rochester. Our venues offers the flexibility and style to host executive meetings, corporate events, conferences, receptions, and seminars. Design the wedding of your dreams at one of Kahler's stunning venues located in both downtown Rochester and the countryside southeastern Minnesota. From elegant and historic ballrooms to a rustic country barn, Kahler Events offers beautiful indoor and outdoor venues and custom catering. Kahler Events offers customized menus for every meeting or special event, from wedding receptions to conference lunches to gala banquets. Exceptional service and innovative regional cuisine create impressive culinary experiences.